This week already has me wishing for the weekend I’m not gonna lie! Actually it has me wishing I was back at the Fairmont Dallas living my best staycation life. If you follow me on Instagram then you already know that the Fairmont HOOKED YA GIRL UP, they hopped on my Tyler Movement and it was amazing. Let me take you through my fabulous stay with them. Can we just take a minute to admire this gorgeous room and THAT VIEW though * insert heart eyes * like all the goals. I literally would just lounge and take in the view all the time because it is gorgeous! I had the pleasure of being upgraded to the Gold Lounge and let me just tell you guys it is SO WORTH IT!!! The breakfast is freaking amazing and I would have been lost without it to feed my inner fatty. Speaking of food, the room service at the Fairmont is DELICIOUS you guys. I truly lived my best life watching movies and enjoying their wings and fries. I don’t have a single negative thing to say about my stay at the Fairmont Dallas except that it ended too soon ;) If you need a staycation or you’re in town visiting TRUST ME you will want to stay at the Fairmont! Don’t forget to follow me on all my socials so you can follow along with me daily, they are linked below. I hope you all have a great rest if your week and I will talk to you all soon! It has been a hot minute hasn’t it!? 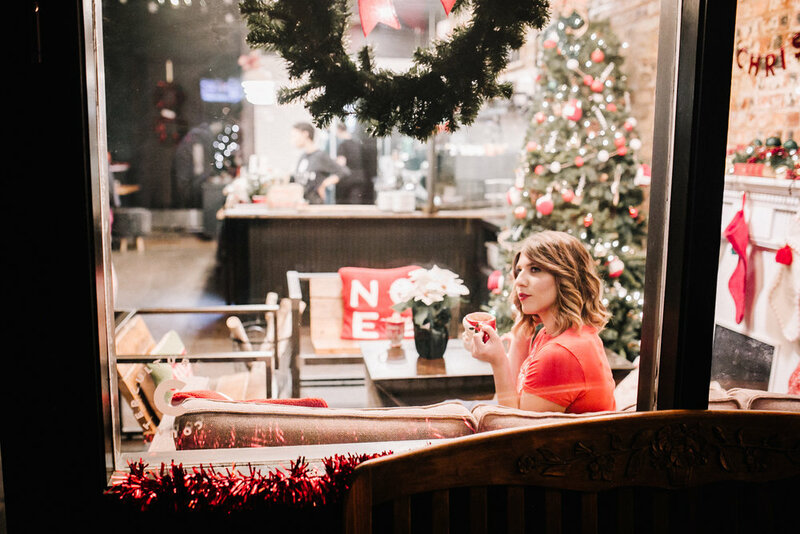 I have been taking a lot of down time during December to just relax with friends and family and to also get ready for the New Year. I have a lot of fun stuff coming to Basic Blogger B*tch and I can’t wait to share it with you all. 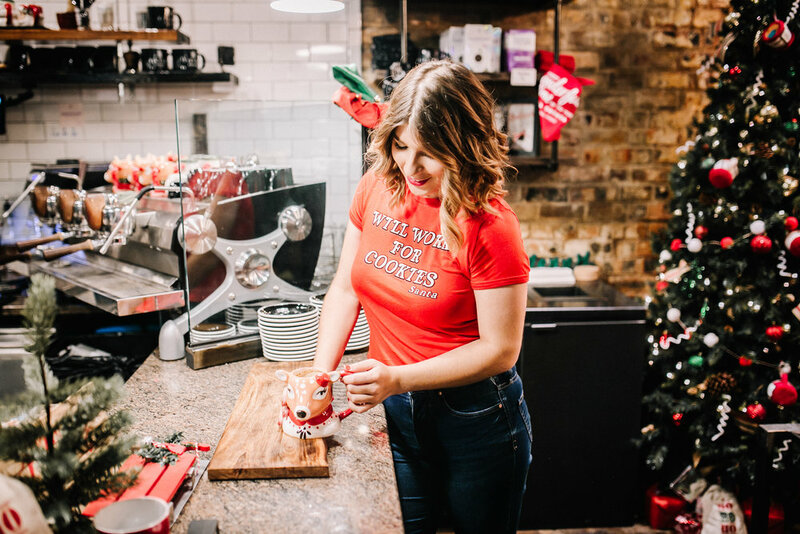 Even though I am in holiday relaxation mode I didn’t forget about you all, in fact I am going to be sharing one of my favourite holiday coffee shops with you guys today! Deck the Halls Coffee Shop also known as Fiction Coffee the rest of the year, is literally one of my favourite places to chill at during December. They completely change their regular decor to look like a magical Christmas cottage and it gives you all the Christmas-y feels. Lets start with the wall outside. This is literally any influencer/blogger’s dream, to be honest it’s anyone with a cameras dream. You can’t not want a picture with it! Can we also just take a minute to admire this decor inside? I feel like I am in Mrs. Clause’s house every time I walk in. I would honestly be there everyday if I could!! Take a look at this holiday menu you guys. Those names are E V E R Y T H I N G am I right?! My personal fave is the Falala-Latte(The second picture) it tastes like Christmas in a cup. 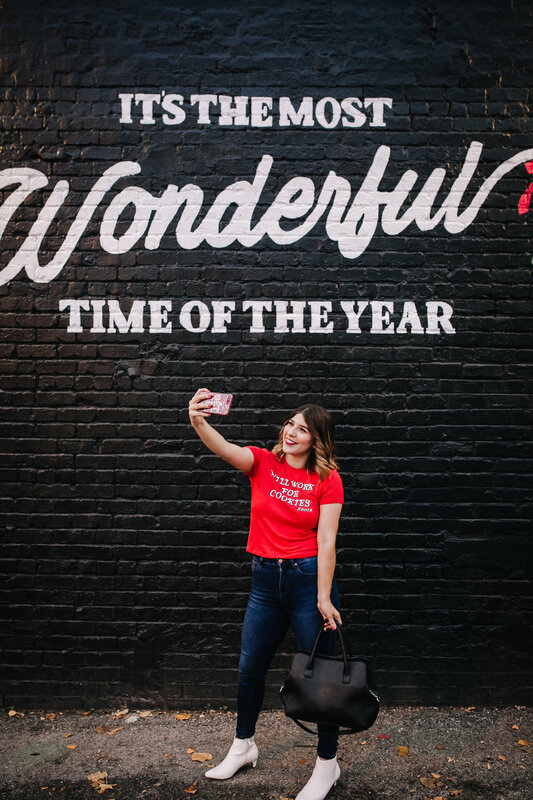 If you live in Dallas I 1000% recommend stopping in because you will never want to leave once you do ;) It will definitely get you in the Christmas spirit. DTHCS is open everyday leading up to Christmas Day and their last day is the 31st, so you can go anytime between now and then. I hope you are all having a wonderful December so far!